We have to engineer enormous amount of different kind of clevis pins on a daily basis. Therefore, we decided to create and share our original, simple clevis pin generator. Developed generator is a great help in engineer’s daily work. It allows to create a pin without having to look every single time at the technical standards. As a result, time needed to create a single pin is greatly reduced and the work itself becomes more… enjoyable. The generator is available on full-cloud CAD software of Onshape. 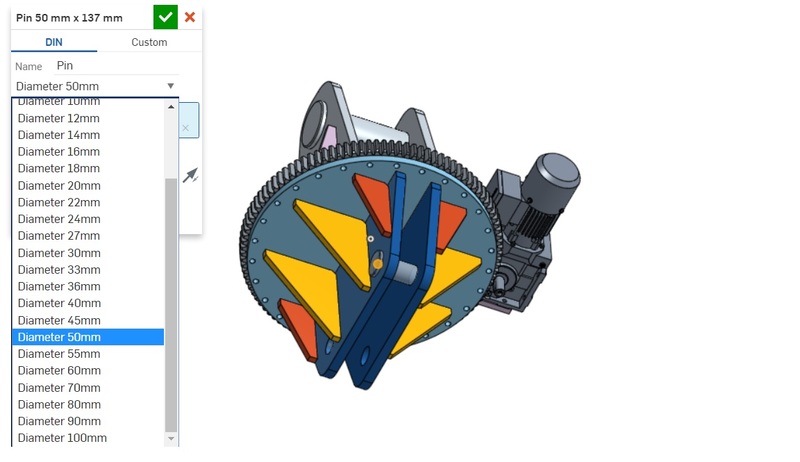 Step 1: How to add the generator to your Onshape toolbar. 1. Sign in and create new document. 2. From “Part studio” select “Add custom feature”. 3. Select “Other documents” and paste the link from the bottom of this post. 4. Click “FeatureScript ClevisPin” (as in the picture). It’s ready! 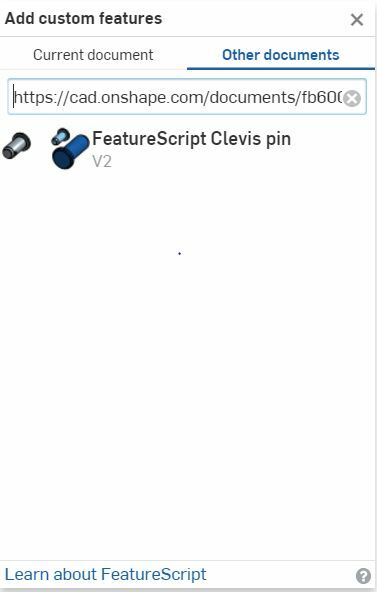 Our clevis pin generator is now part of your Onshape toolbar. 1. 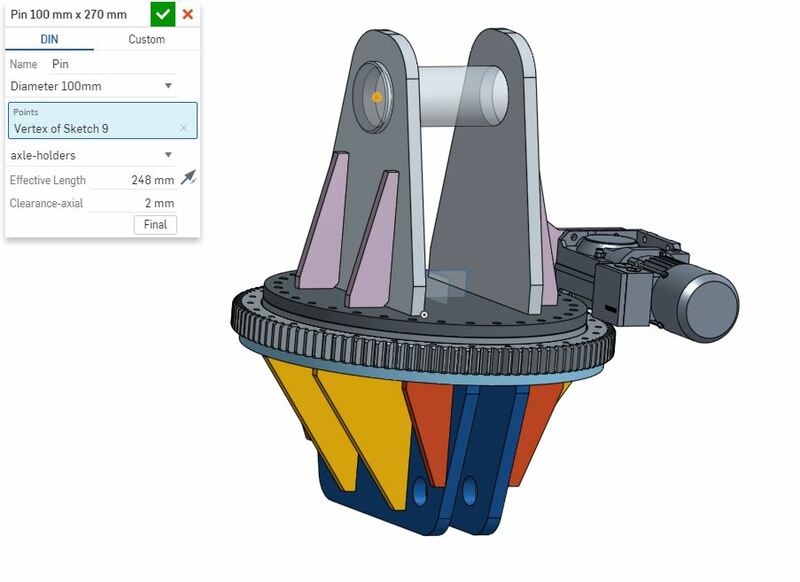 Click “ClevisPin” on Onshape toolbar. 3. Point on model the starting point of pin joint. We highly recommend using one of the previously created hole sketches. 5. Type in effective length of the pin and (optionally) value of the clearance. As it turns out, even the pin modeling can be automated!